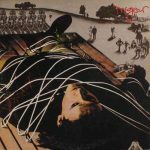 Even though Mike McGear never wanted to be accused of riding his older brother, Paul McCartney‘s coattails – that’s why he adopted a pseudonym – when it came to recording a follow-up record to his solo debut, the two decided to work together. 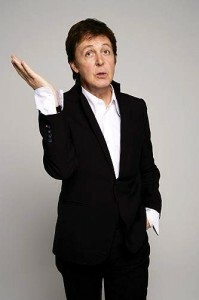 To work on a single which soon enough grew into an album where not only the entire WINGS played – and ex-Beatle co-wrote most of the tracks – but also Mike’s colleague from GRIMMS, Vivian Stanshall, made an appearance. The result was close to a pop masterpiece, and June 28th will see its reissue – adorned with a poster and, what’s more important, expanded to include single cuts and a lot of previously unheard pieces, gathered on the set’s second CD. 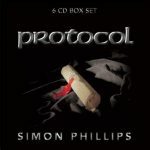 In all fairness, Simon Phillips‘s project PROTOCOL must be talked about in the same reverential tone as THE TONY WILLIAMS LIFETIME or BUDDY MILES EXPRESS, yet it’s a sign of our times that genuine originator doesn’t often gets his due. Although Simon’s drumming is heard on a plethora of classic albums by other artists, his own creative heart has long been in what started as a solo album back in 1988 and turned into a jazz-rock ensemble which released the follow-ups to “Protocol” in 2013, 2015 and 2017, with "Protocol IV" – the series’ latest chapter – nominated for Grammy last year. All four records, remastered, are gathered in a box set – titled as Phillips’ aforementioned debut – whose additional value lies in a couple of extra discs which contain demos for the collective’s output. Some people take their time nowadays to deliver a new record, yet it didn’t Mitch Ryder too long to follow his Yuletide album "Christmas (Take A Ride)" with another set of covers. 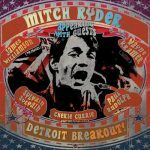 If that seems pretty much old-school, this is what one must expect of Mitch; what may be unexpected is an array of kindred spirits he called to arms to lay down “Detroit Breakout!” which will see the light of day on June 14th, and its tracklist. Of course, a fresh take on Ryder’s own perennial “Devil With A Blue Dress” wouldn’t surprise anyone, but the veteran’s handling of Otis Redding’s “The Dock Of The Bay” or THE CAPITOLS’ “Cool Jerk” should – just like the new renditions of Sam Cooke’s “You Send Me” and of “If I Had A Hammer” by Pete Seeger. 1984 was a watershed year for Johnny Thunders: he recorded “Live At The Lyceum Ballroom” with THE HEARTBREAKERS, their last ever album, and shortly went solo before forming and fronting THE BLACK CATS with whom the guitarist would record “Que Sera Sera” in 1985. 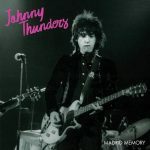 It’s from this period that “Madrid Memory” comes from – a show shot for a Spanish TV broadcast which was deemed lost for a long time, and a very special document because what has just been out as CD/DVD combo and vinyl LP features, alongside Thunders, his former NEW YORK DOLLS colleagues Sylvain Sylvain and Jerry Nolan on, respectively, guitar and drums, as well as Heartbreaker Billy Rath on bass. 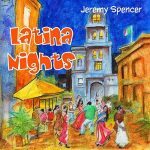 Always associated with blues as a member of FLEETWOOD MAC’s triple-guitar line-up, Jeremy Spencer‘s creative palette is much broader, and the veteran is veering away from his original genre on “Latina Night”: the third album available only for download or streaming. Spencer’s last physical release was 2014’s "Coventry Blue" and since then Jeremy’s been working on a less prominent scale, which doesn’t mean inferior quality of work, this record seeing the Englishman reminiscing instrumentally and sentimentally, on the years spent in Brazil.